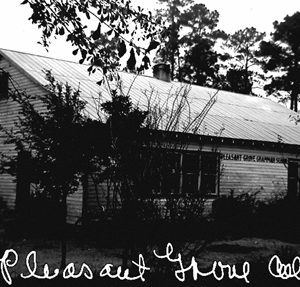 The first public school for African Americans in Clarendon County, Pleasant Grove School was constructed in 1933. The small building included four classrooms and a kitchen, and a basketball court and baseball field were located behind the building. 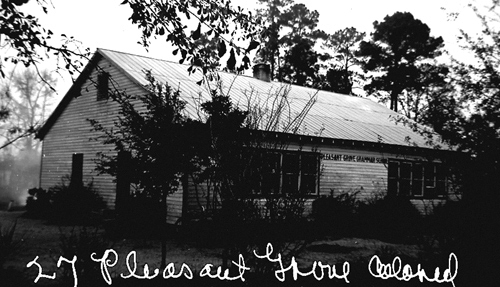 At the time of its closing in 1953 during the state’s school equalization program— which constructed new, modern facilities for black students while dramatically reducing the number of smaller rural schools—Pleasant Grove School had five teachers and 159 students, with two classes held at the church across the street. From 1992 to 2004 it operated as a community center.